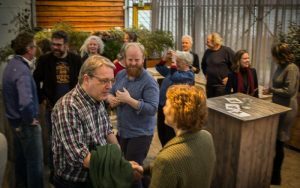 Supporting connections and relations among farmers, urban people, students, artists, policy makers and others is at the heart of agroecology. Cultivate! co-hosts brigades, caravans and other exchange processes, aiming to strengthen territories in advancing healthy food and farming systems. Here is a selection of our current activities. In 2018, a Food Caravan passes through seven regions of the Netherlands. Cultivate! is among the main organisers, united in the Dutch Voedsel Anders platform. Participants in the various activities of the Food Caravan 2018 exchange experiences around the food transition, generate new insights and place these in a broader framework of policy, practice and research. We zoom in on the four central themes of Voedsel Anders: agroecology, short chains, fair agriculture and trade policy, and land governance. 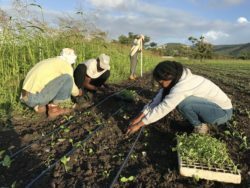 The Caravan aims to generate visibility for promising, regionally embedded food initiatives, and to create new narratives and connections that help to strengthen the movement for equitable and sustainable food and farming systems. In 2014 and 2016, Voedsel Anders organised two national conferences which drew over a thousand people. Since then, awareness in the Netherlands is growing that it is high time for systems change in food and farming. The Food Caravan takes a regional approach to contribute to that change.